Frances Woodsford was born in 1913, daughter of a dress designer. Early childhood, in Egham, was affluent but her father died prematurely, and, without him, his business failed. She left school, acquired shorthand and typing skills and kept a roof over her widowed mother's head, working first in a solicitor's office in Half Moon Street. When her brother contracted rheumatic fever the family moved to Bournemouth for his health. It was the Depression and jobs were hard to find so Frances typed for the Royal Blue Coach Company and then for 8 years worked at Westover Garage, again as a typist. It was not challenging enough for her and she was determined to find a job with a pension so switched to the National Registration Office at Bournemouth Town Hall. and, in the WW2 years ran an engineering workshop in the evenings as well, at the Westover Garage. A job, still with Bournemouth Council and pensionable, as matron/secretary/account keeper/maid of all work/ cropped up at the Public Baths and there she stayed until her boss retired and was replaced by a man who stripped her of all managerial responsibility. Bored, she moved back to the Town Hall to be in charge of the General Office and ran their archives. 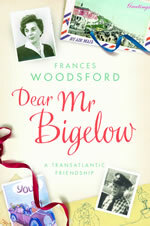 As a very capable woman, there must have been frustration buried below the surface and when she wrote to Paul Bigelow in America to entertain him in his loneliness, confident that no-one who knew her would ever read the letters, she wrote freely. She would have liked the letters back when he died, as they recorded English social history and might have been useful to historians, but was told they'd been disposed of. They resurfaced, extraordinarily, in 2006. 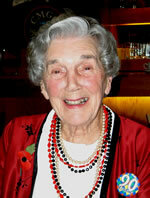 Frances Woodsford died in March 2013. I read Andrew Lownie's article in the August 2008 issue of Writers' News and decided to ask him to take Dear Mr Bigelow on. To my delight he agreed. He had refusals but managed always to sustain my enthusiasm and hope. I have really appreciated being kept informed, promptly, of all the responses and glowed when others have found the letters as charming and witty as I did. I am so glad I asked for his help and that he has so quickly found a publisher who is thrilled by the letters too.